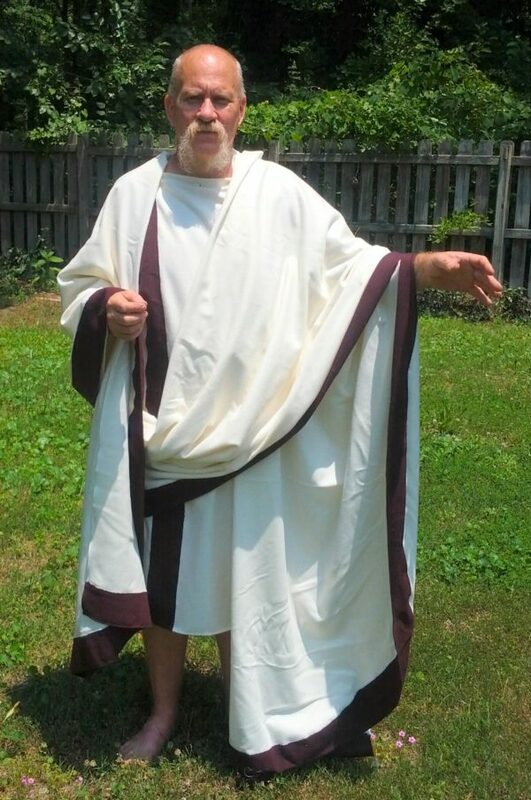 The senatorial toga is 6 yards long by 58″to 60″ wide. Made from 100% flannel weight wool. Note: red striping may be substituted for a Praetexta toga.